For a broke college student like myself, if it’s possible to make a recipe and not have to go to the grocery store to get anything, I’m thrilled to do it. That’s what I did here. 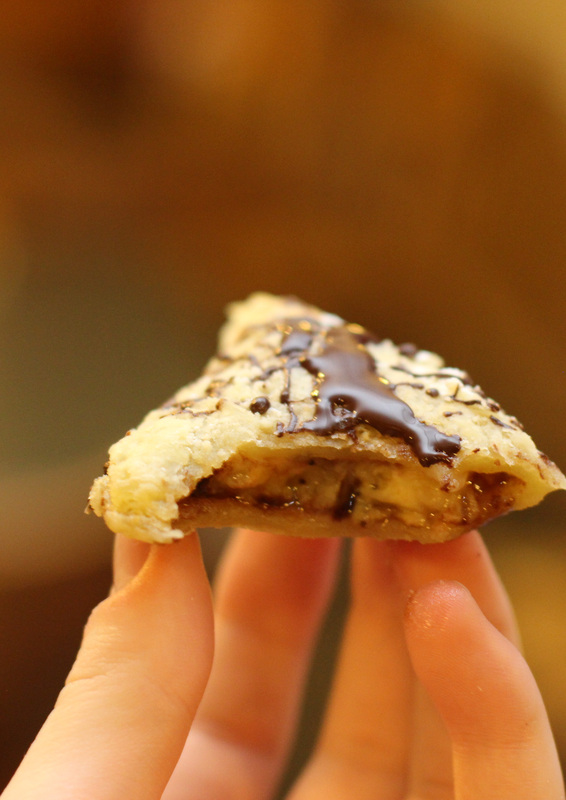 The puff pastry I used was still hanging out in the freezer from when I made my strawberry mug pie, I had an extra dark chocolate bar from when I made the Parisian drinking chocolate, we have fresh fruit in my sorority house and let’s be real – I always have Nutella. Like the rest of everything I’ve blogged about so far, these were easy to make. Also I finally used the toaster oven and didn’t burn the house down/ruin my treats! Eating one of these reminded me of that banana chocolate dessert you can make in tin foil over a campfire (literally one of my favorite memories from my week at camp in the 6th grade), and it took every ounce of my willpower to leave the rest of the pastry bites on plates for my sisters. 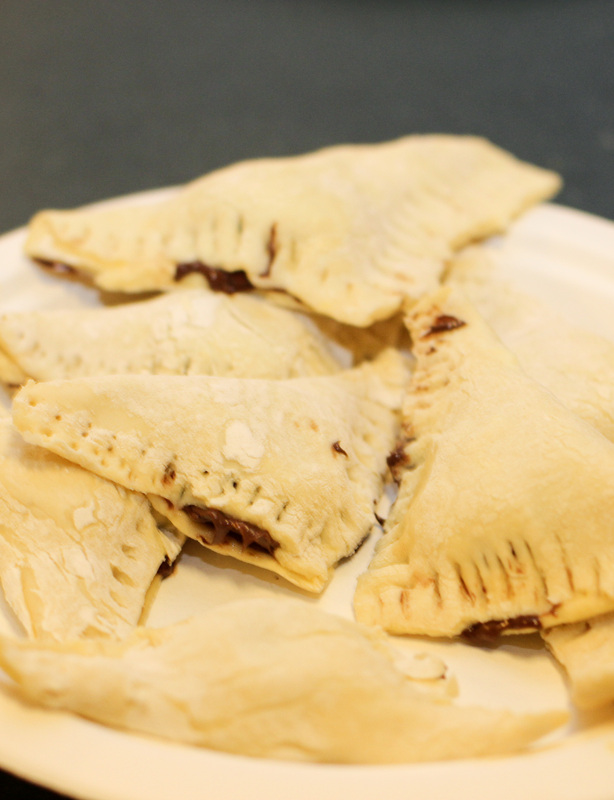 Adapted from Nutella Pastry Pockets by bakersroyale on Endless Simmer. 1. Preheat an oven (or in my case, a toaster oven) to 450ºF. 2. 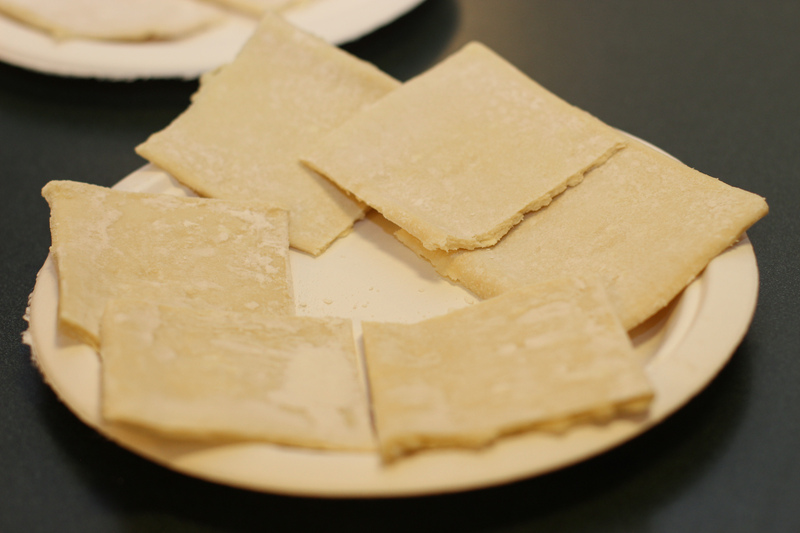 Cut puff pastry sheets into perfect squares. 3. 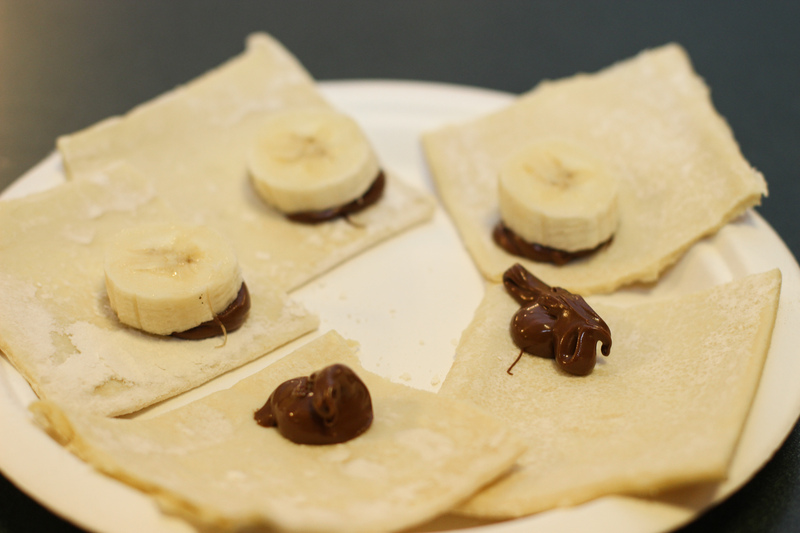 Spoon Nutella near the corner of each square, then place banana slices on top. 4. 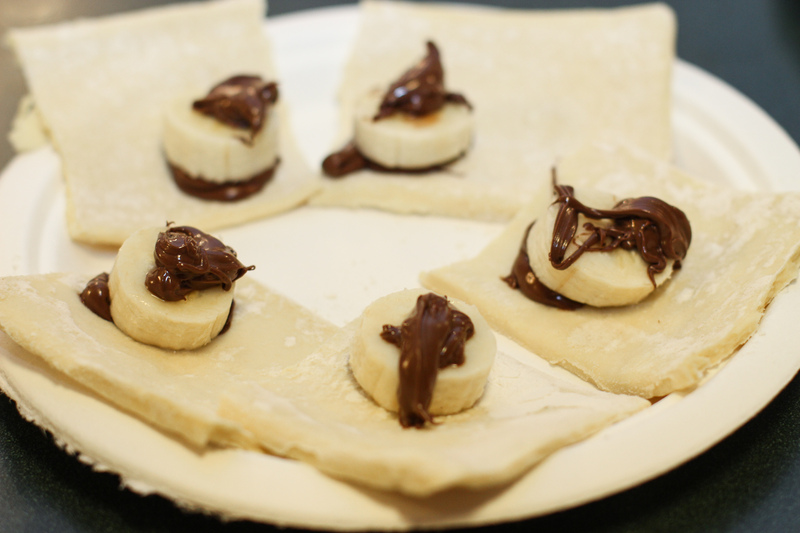 Top each banana slice with more Nutella. 5. 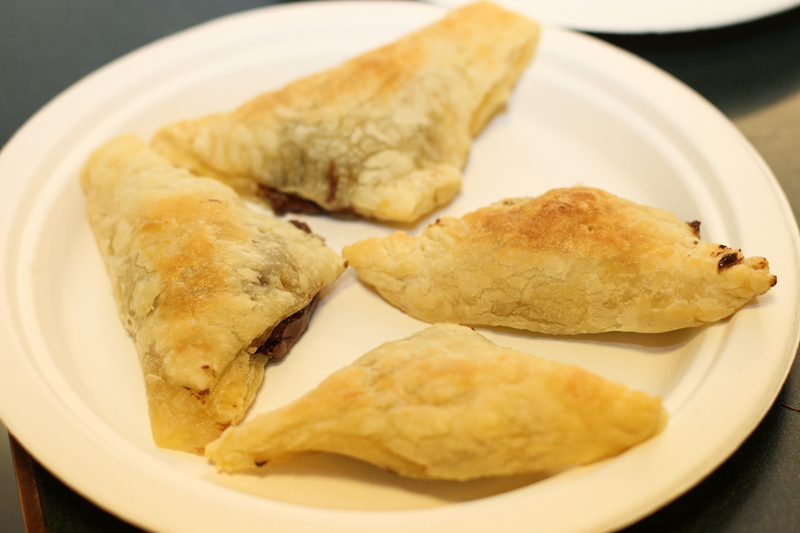 Fold each pastry square diagonally, and seal shut with a fork. 6. Beat the egg and water, and brush over the top of each pastry. 7. Bake for about 10-12 minutes, or until the top of each pastry is golden brown. 8. Sprinkle powdered sugar over the top and drizzle chocolate over. Optional: Set out on a plate with a little note telling your sorority sisters to like your Facebook page, and watch the likes roll in. 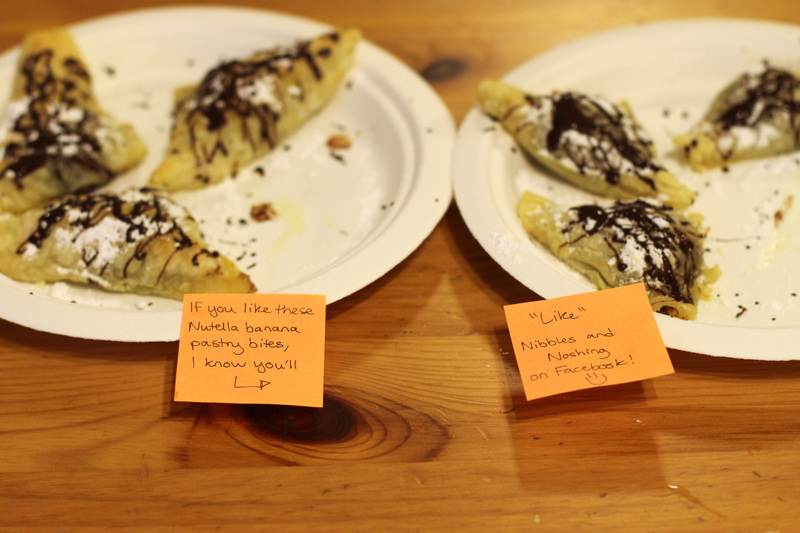 This entry was posted in brunch, dessert, Recipes and tagged banana, bananas, food, Nutella, pastries, pastry, recipe, recipes. Bookmark the permalink. I love, love, love these bite-sized treats! What a great idea! Thank you, Danny! When they’re bite-sized, I can eat more and not feel as bad about it, haha.